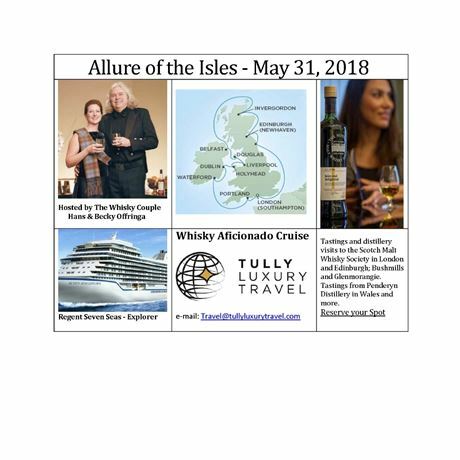 Set sail from London and cruise the British Isles enjoying visits to the Scotch Malt Whisky Societies in London and Edinburgh. Visit the Bushmills and Glenmorangie distilleries and enjoy a tasting from Penderyn, plus more opportunities exclusive to our guests. Please contact us for ticket sales and information.